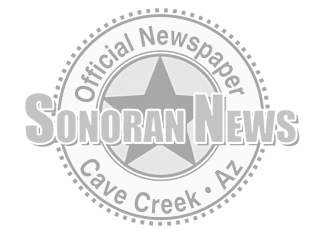 CAVE CREEK: Long time Cave Creeker, Vern Willer died March 27, 2018. He was born Nov. 21, 1931 in Sioux City, Iowa, to Henry and Sylvia Willer. He graduated from East High School, Sioux City, in 1950. In 1951, he enlisted in the Air Force and served four years. He moved to Cave Creek in 1974, where he was active in the horseback riding community. He was involved in the parade and rodeo (DFCA) in Cave Creek after it became a pro-rodeo venue in 1979. He had also been a member of the American Legion, Cave Creek Post #34, for more than 33 years. He is survived by his sister, Marilyn Miller, of Cupertino, CA, and by his two sons, Kevin and Cary. He was preceded in death by his two brothers, Wayne and David and, in 1996, by his daughter, Christine VanDoorne. Services are pending. Donations in Lieu of flowers, may be made to the Cave Creek Legion Post #34, or to the Cave Creek Museum.